A couple of weeks after their first wedding celebration in Thailand, Tun and Brent enjoyed another wedding and reception at Crowne Plaza at Historic Union Station. 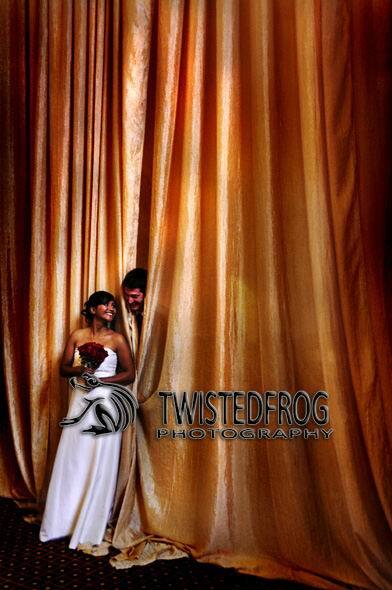 We captured their first meeting and then lots of photos with Natalie and Tim of Twistedfrog Photography. Tun and Brent had a very intimate ceremony by candlelight in one of the Grand Hall’s alcoves. Thai handcrafted candles were used instead of traditional placecards, and we loved how the Grand Hall started to light up as guests brought the candles to their seats for the reception. 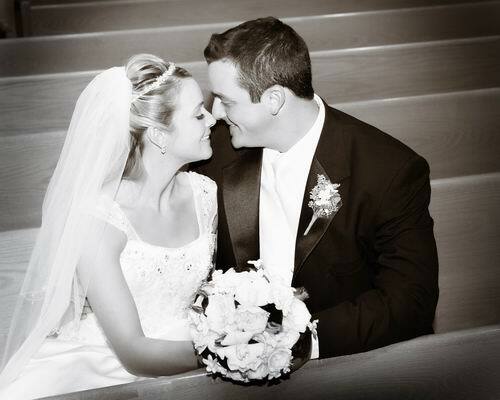 Julie Acheson of Royal Creations, who provided the lovely floral decor, referred this beautiful couple to us. Jason Fritz of Pro-Sound Entertainment presided over the remainder of the evening’s festivities. Becca and Dan’s rehearsal dinner at Maggiano’s was a casual affair celebrating not only their union the next day but also Becca’s birthday. On the wedding day at Carmel Lutheran Church, Kirsten Wray captured some particularly fun shots inside the sanctuary, with the holiday decor adding an extra festive flair. We especially loved Dan’s emotional reaction to seeing Becca walk down the aisle. All in all, this wedding was a fabulous way to end our 2010 shoots, and we wish Becca and Dan a lifetime of love and happiness. Cheers! 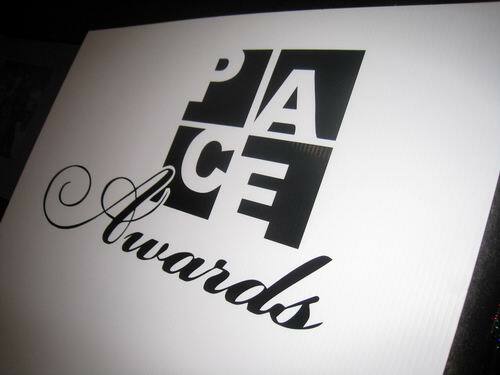 IndyVisual Wins 3 PACE Awards! In all, ten of the awards handed out were for events that we filmed. “Monet’s Canvas” also picked up trophies for Best Catered Event (Over $25K), Best Marketing/Design Collateral (Over $25K) and Best Wedding (Over $200K). 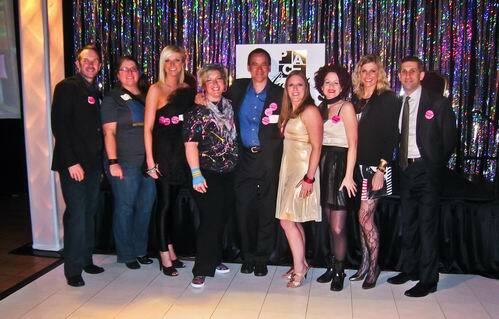 “An Affair to Remember” scored additional wins for Best Corporate Event ($75-200K) and Best Event Design/Decor ($25-75K). The other award-winning events we filmed were “Secret Garden” and “Come Rain, Shine or Darkness,” which won for Best Wedding ($75-200K) and Most Creative Solution respectively. Of course the biggest honor was simply the privilege of being a common thread in such a wide variety of amazing events. It seemed that whenever there was an award-worthy event in 2010, we were entrusted to film it. Special thanks to the many incredible talents who referred these events to us, and who generously acknowledged us in their speeches. Overall it was a fantastic night filled with fun, food, dancing and great friends…not to mention a LOT of Madonna clones.